In the Air Force, Survival, Evasion, Resistance, and Escape (SERE) specialists serve as subject matter experts who train all aircrew personnel (and others at risk) on how to handle themselves if they're ever caught up in hostile territory. That means teaching airmen from all walks of life a vast array of skills, from how to improvise basic shelter and find sustenance to how to escape active pursuit by the enemy, and to resist coercion if captured. SERE specialists can find themselves assigned to one of six main SERE training detachments across the country, or conducting "refresher" training at any Air Force squadron. But first, they have to make the cut and endure all of the training they'll eventually impart to others. To even get on the radar for SERE, recruits must have a high school diploma and a general technical score of 55 or higher on the Armed Services Vocational Aptitude Battery (ASVAB). The Air Force Enlisted Classification Manual suggests that high school "courses in speech, education, physical education, biology, botany, anthropology, geology, and geography are desirable" for aspiring SERE instructors. In addition, eligibility for a secret security clearance is required. This involves a background check of character and finances, and a history of illegal drug use or alcohol abuse are usually disqualifying factors. Applicants for this job also must be free of any speech impediment which interferes with clear enunciation and have normal night and color vision. They should be able to lift 70 pounds overhead and pass the minimum requirements for the SERE Physical Ability And Stamina Test (PAST). They'll also be required to carry a 65-pound backpack four miles in one hour. And they must be free of allergies to pollens and grasses. Right after Air Force basic training, potential SERE specialists stay at Lackland Air Force Base (AFB) Texas for a short one- to two-week screening course that, in addition to testing physical and psychological limits, also evaluates candidates' learning, teaching and leadership skills. The 336th Training Group (TRG), based at Fairchild AFB, is the next stop for those who pass through the crucible at Lackland. 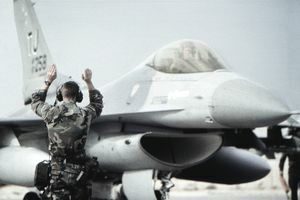 The 336th oversees the entire training pipeline, which takes at least a year to complete, though students don't remain at Lackland the whole time. To begin with, apprentice SERE specialists have to spend six months going through SERE courses as students, enduring the same punishment they'll later inflict on others. This includes arctic survival training at Eielson AFB in Alaska and water survival training in Pensacola, Florida. At some point in their training, SERE specialists also earn their jump wings at the Army Airborne School in Fort Benning, Georgia. Finally -- assuming they've survived -- SERE students end up at Lackland again for five-and-a-half months to make the transition from survivalist to survival instructor. But the home stretch isn't all about the classroom: the training includes running up to 8 miles, performing pushups, situps, flutter kicks and pull-ups. Much of the instruction is outside the classroom, heading out to the field before the sun is up. And airmen in this job should expect to grow accustomed to surviving for long stretches without sleep.